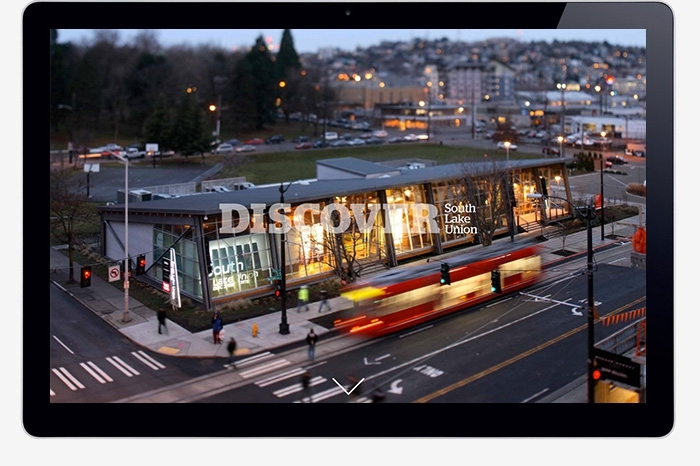 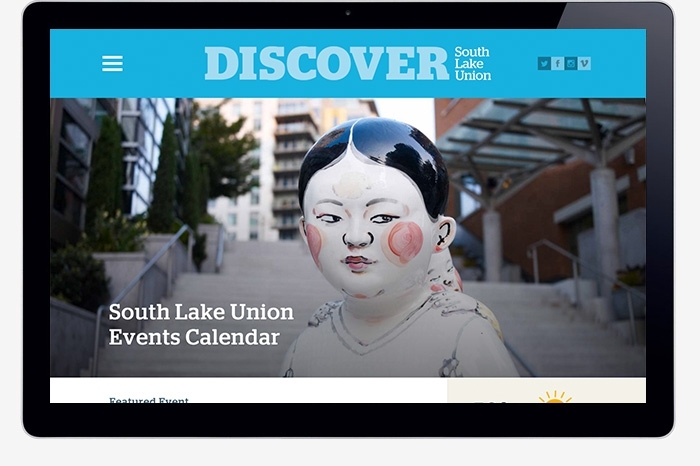 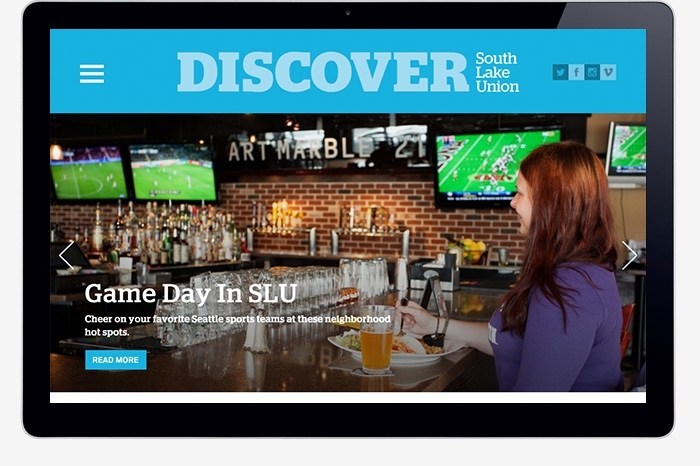 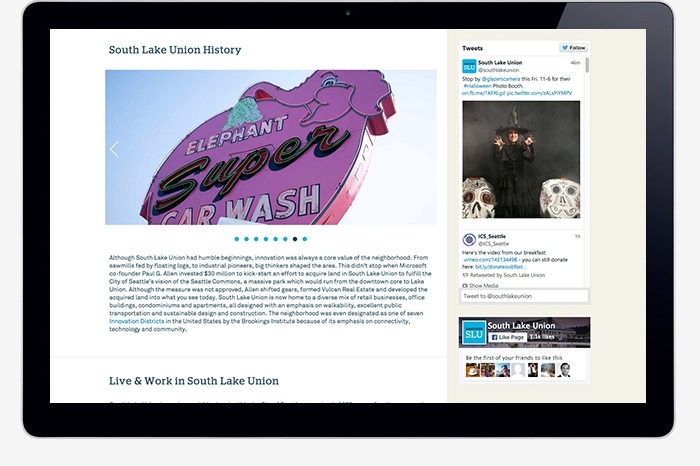 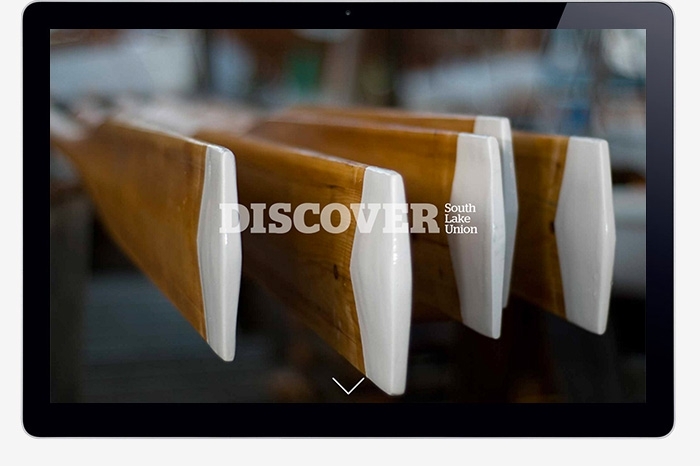 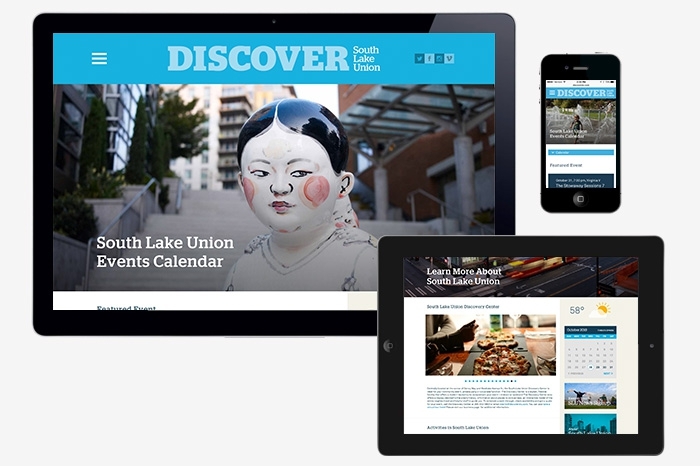 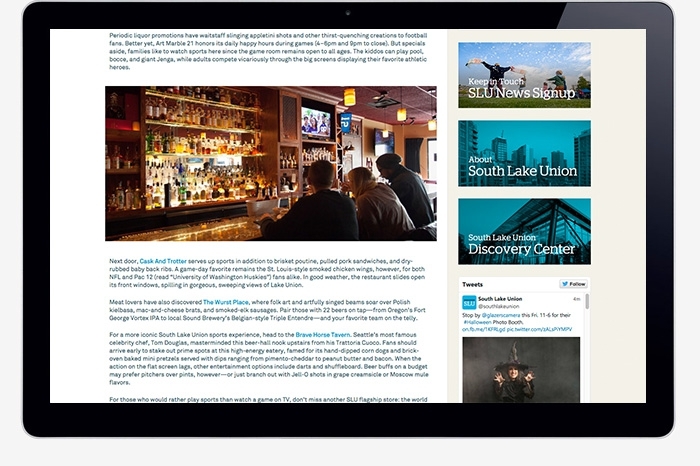 With a growing community of residents and workers and an ever increasing number of events in the South Lake Union neighborhood, this community website promotes local businesses, events and restaurants in the South Lake Union area. 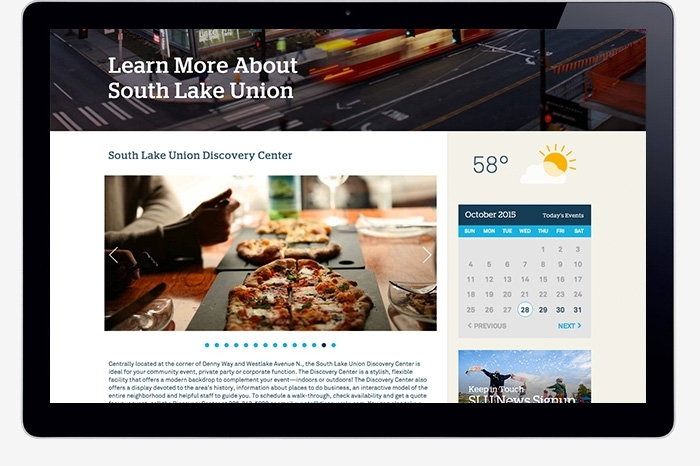 The site features an easily accessible content management system allowing anyone in the community to create a page for their business, retail or restaurant and post related events or happenings. 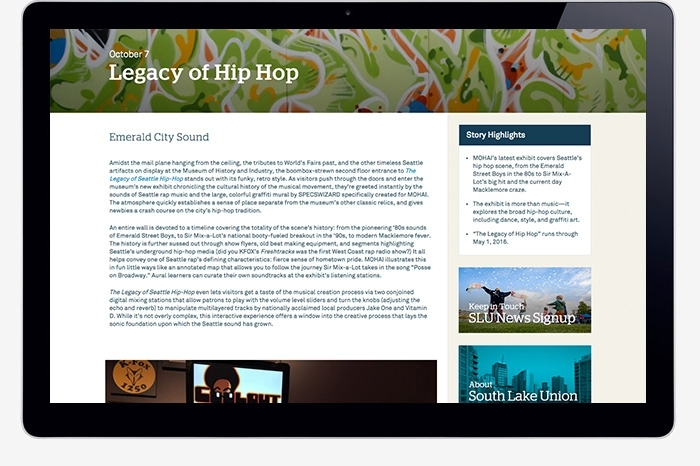 The site also features bi-weekly human interest stories on the latest and greatest in the neighborhood. 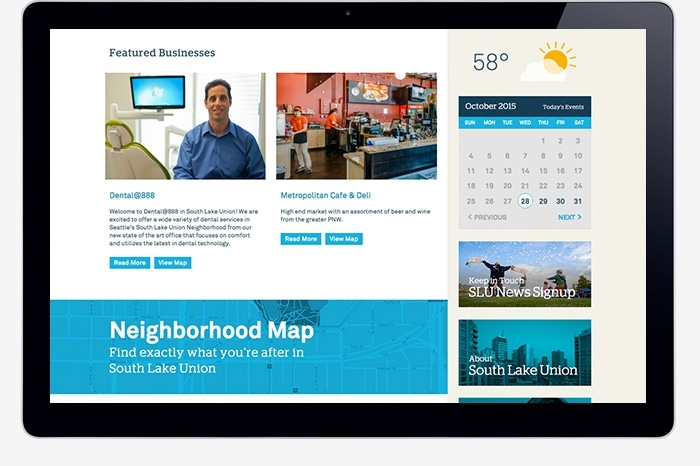 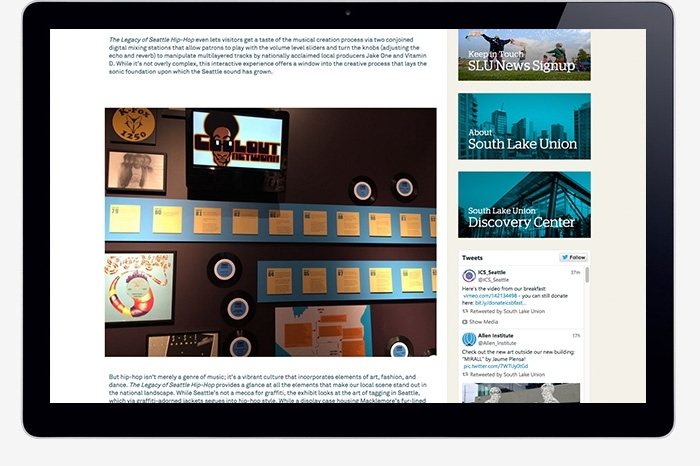 An email newsletter integrated with the site content draws visitor back to the site on a regular basis. 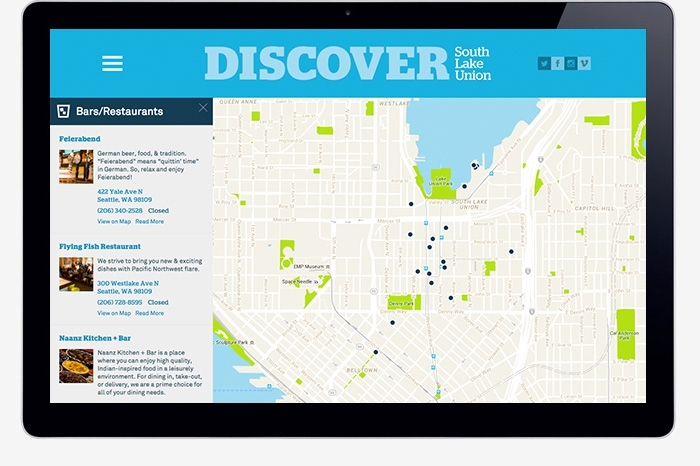 The responsive design of the site ensures mobile phone users in the neighborhood can use the site on the go, with locations and events easily located near you on a mobile-friendly interactive map.